Inconjunction with Mimaki SMGG are pleased to announce the new Mimaki CJV150-75 integrated solvent printer/cutter is to be offered at a promotional price of just £6,995 through. The state of the art 810mm wide machine also benefits from a 2 year Gold warranty and a free starter pack comprising over 3.5 litres of ink as part of a promotion due to run until the end of July 2015. 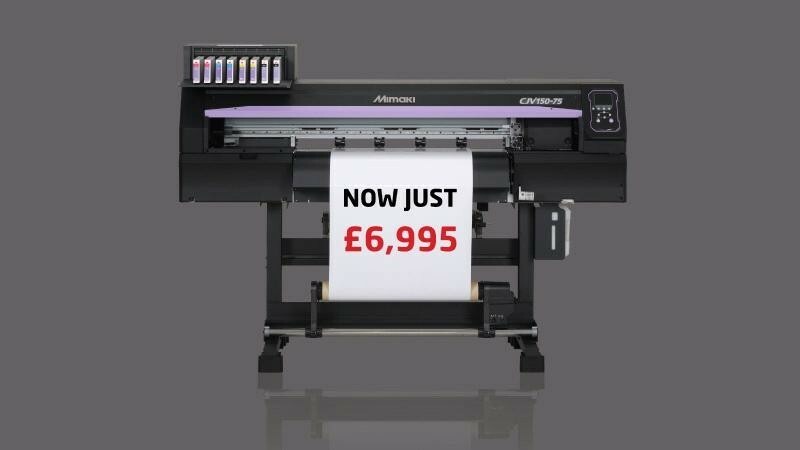 Customers looking to take advantage of this offer can view the new Mimaki CJV150 range by contacting SMGG on 0844 880 4596.